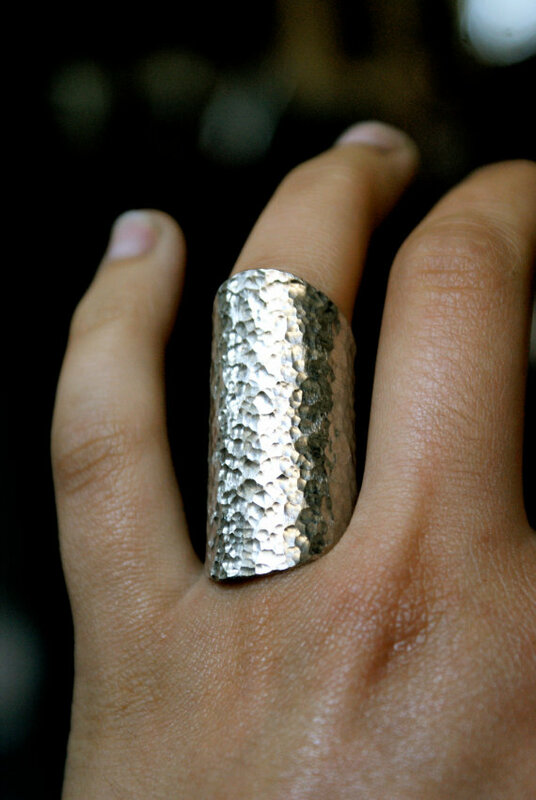 This ring is dramatic and totally fabulous! 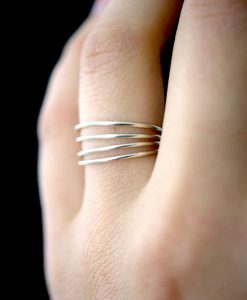 These shield rings are some of my favorite designs — they’re simple, elegant, and incredibly eye-catching. 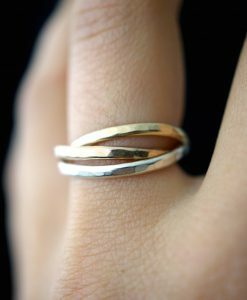 This variation of the shield ring has two rounded edges that taper in towards the back. 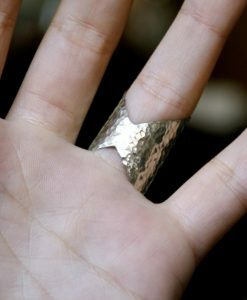 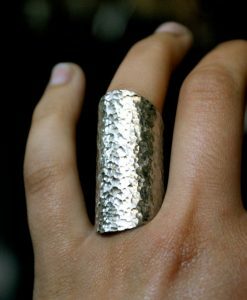 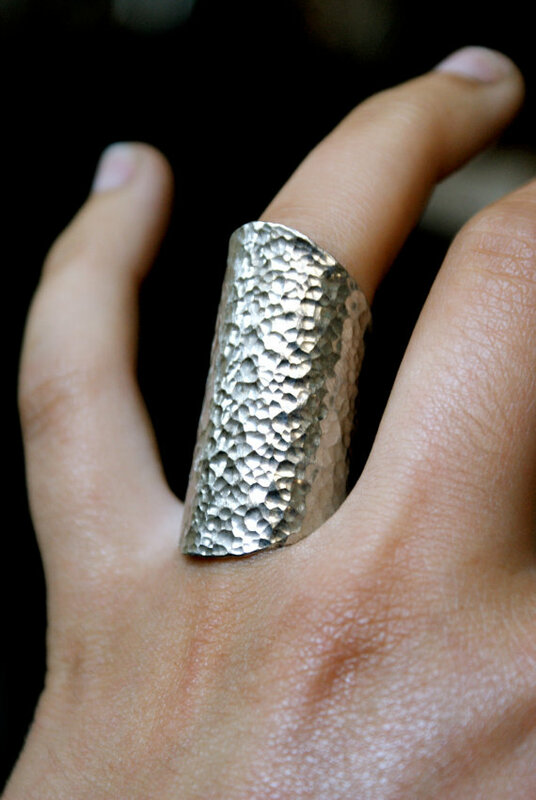 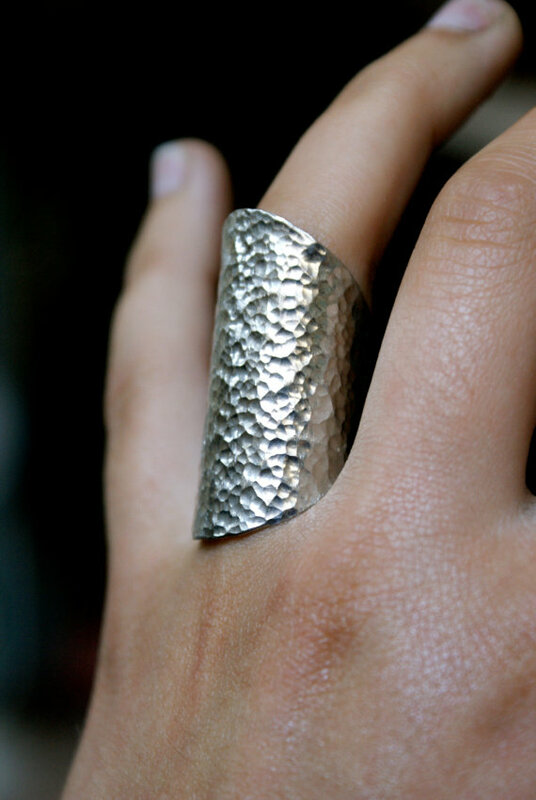 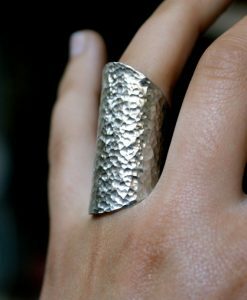 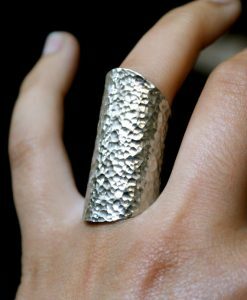 I’ve hammered this solid sterling silver ring so that it will sparkle and shine on your finger. 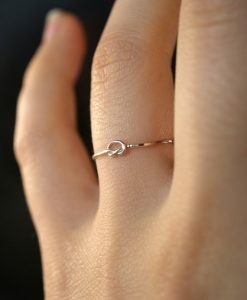 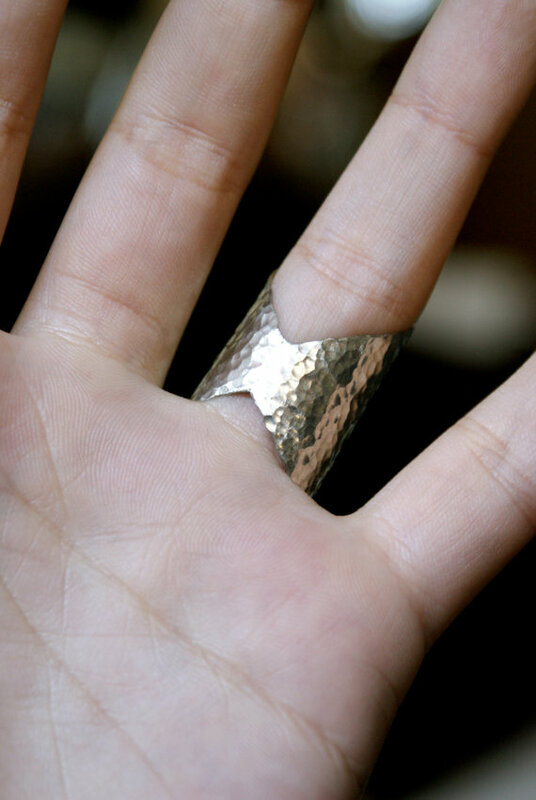 This ring is meant to extend from the base of your finger to your knuckle. This shield ring measures about 1 1/3 inches long (although height will vary slightly between sizes). 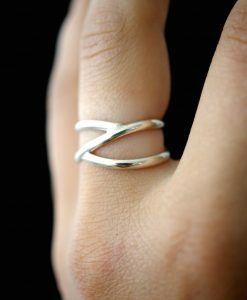 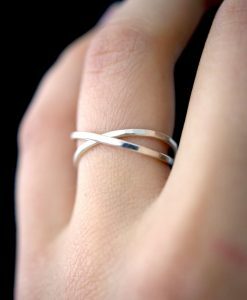 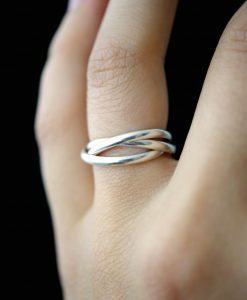 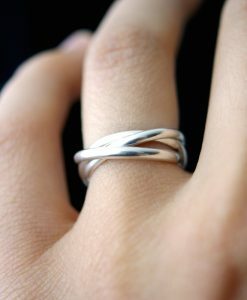 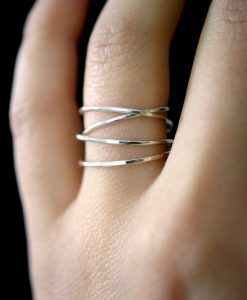 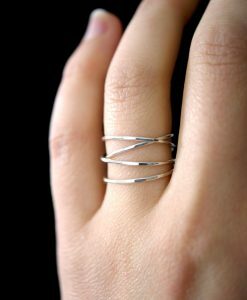 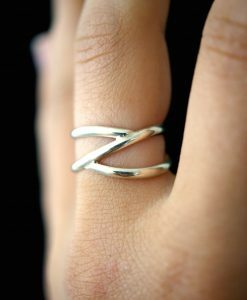 This ring is made out of 100% solid sterling silver. 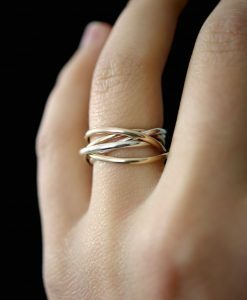 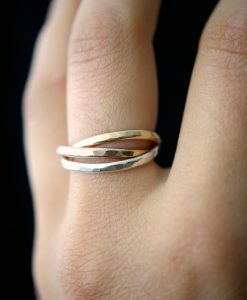 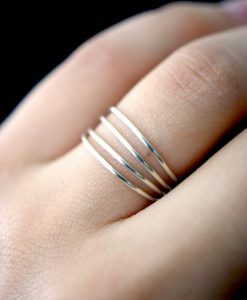 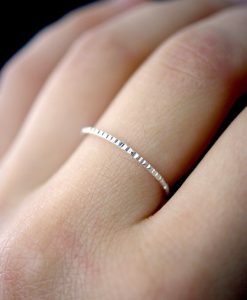 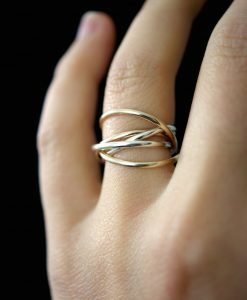 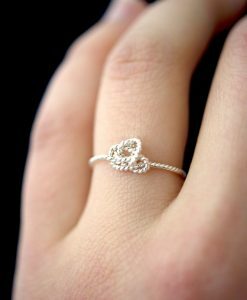 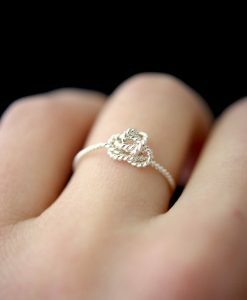 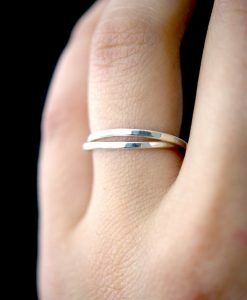 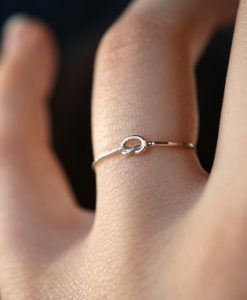 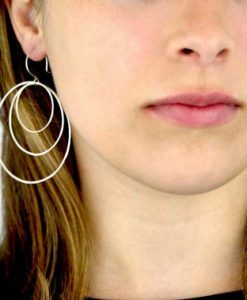 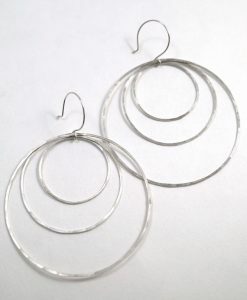 * * SIZING INFORMATION: Wide rings fit tighter than thin rings — I suggest you order between a 1/2 to 1 whole size larger than you would normally wear (depending on the width and taper of your finger). 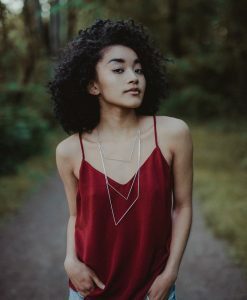 If you are at all confused, please message me! 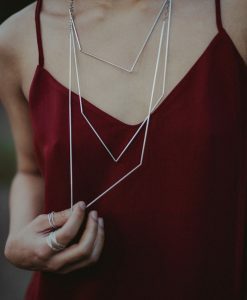 I’ll help you find the perfect fit.